Select the Web Signup Forms option from the Lists Menu. 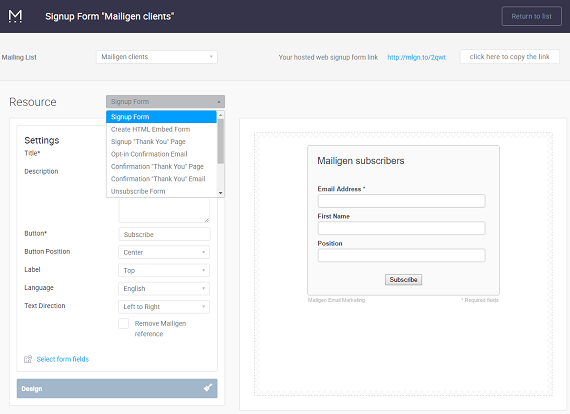 This will open the Web Signup Forms Editor Window. Select the Create HTML Embed Form option from the Resource Drop-down. This will open the HTML embed form for you to edit. 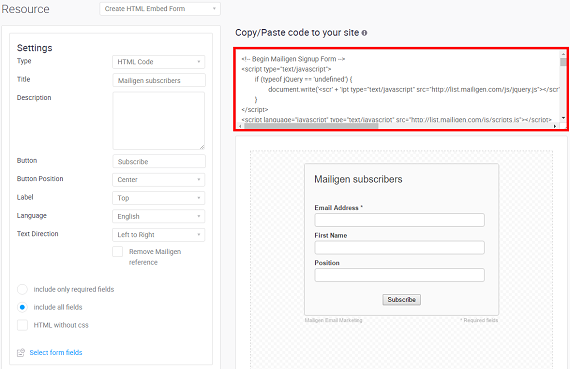 Once you have edited the form to your liking (for more information about editing web signup forms, see How to Setup and Customize a Web Signup Form), you need to copy and paste the HTML code into your website. This code is displayed above the form on the right-hand side of the Web Signup Forms Editor Window. Click inside the area Copy/Paste code to your site, and press Ctrl+A to select all the code, then Ctrl+C to copy it to the clipboard. Paste the code into your website or wherever else you want the signup form to appear. Lightbox — Lightboxes open in a separate window, darkening the landing page copy. Since lightboxes simplify your landing page, they’re often effective if you have a copy-rich landing page. 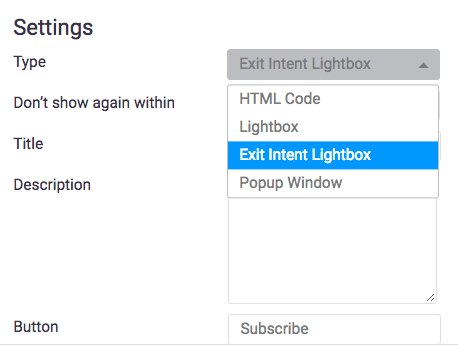 Exit Intent Lightbox — It analyzes website visitor behavior to serve the lead gen form when a visitor seems likely to close the page. This creates a sense of urgency that can tempt a user to convert, rather than leave. Note: Remember to click the Save Changes Button after making any changes to your web form BEFORE copying the code.